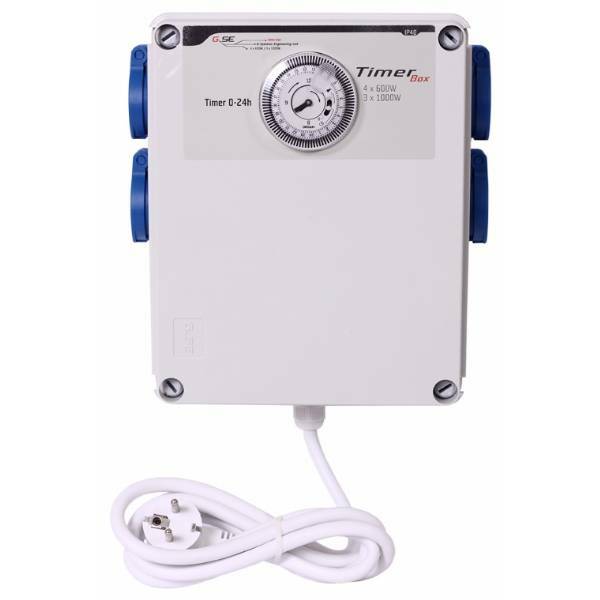 The Advanced GSE Control Unit is a professional timer & contactor system for turning on 4 x 600w lights with added heating control. The Advanced GSE Control Unit is a professional indoor growing timer & contactor system for turning on 4 x 600w lights. This system is will turn on 4 x 600w lights in groups of 2 with a 25 second delay between each group. The benefit of this is that you do not have a large start up power surge by turning all the lights on at once. This model includes a heating socket which turns on when lights are off (power management).